Saturday, November 26, 2016 8:00 PM Northwestern High School AWAY 67 Tri-Central High School HOME 33 Game Recap Trojans lost to Northwestern Saturday night 67 to 33. The Trojans were led in scoring by Kyle Colbert with 8. The boys play host to conference opponent Taylor on Friday at 730. 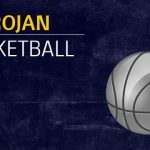 Wednesday, November 23, 2016 7:30 PM Tipton High School AWAY 64 Tri-Central High School HOME 17 Game Recap The Trojans dropped the season opener to Tipton last evening. The Trojans were led in scoring by guard Jacob Ripberger with 7 points. Trojans host Northwestern Saturday Night. 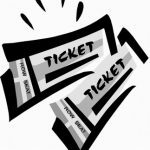 Tickets for the Boys Basketball Sectional are available in the High School until noon Friday, March 4th. Season ticket price is $10.00. Single session tickets are only available at the door on the night of the contest. Single session tickets are $6.00. The sectional is being held at Lafayette Central Catholic. 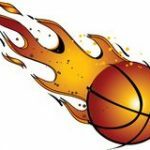 The boys JV/Varsity game at Maconaquah with start at 6:15 on Friday. 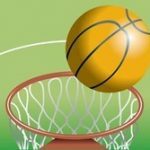 The Boys Basketball Sectional begins Tuesday evening with Clinton Central playing Frontier in game 1 followed with Clinton Prairie playing Central Catholic in game 2. Friday’s first contest will be Faith Christian playing the winner of game 1. The second game Friday will feature Tri-Central playing the winner of game 2. The Final Round is Saturday night. Friday, February 19, 2016 6:00 PM Clinton Prairie High School AWAY 40 Tri-Central High School HOME 28 Game Recap The J.V. team fell short in a tough battle with Clinton Prairie. The boys were led in scoring by Ryan Cockrum with 21 points. Friday, February 19, 2016 7:30 PM Clinton Prairie High School AWAY 64 Tri-Central High School HOME 73 Game Recap The Trojans were victorious on Friday’s Senior night game vs Clinton Prairie. Dillon Smith led all scorers with 35 points as he eclipsed the 1000 career point mark. Colby Malson added 22 points.